Shadows of the past linger in a town time forgot, a ghost town that lies beneath Atlanta’s famous man-made Lake Sidney Lanier. Chilling lore mounted as victims vanished beneath the surface, trapped below sheared-off trees and crumbling town remains. The mystery and strange phenomenon sets the stage for Casi McLean’s Lake Lanier Mysteries series. Could blasting initiate a seizmic shift creating a portal through time? Beneath The Lake, [Beyond The Mist to be released August 2017, and Between The Shadows in 2018]––tales forever bound by a tiny hamlet nestled in the north Georgia mountains, and the eerie lake that swallowed everything in its path. Join us for a trip through time as Brent Swancer describes the ghostly apparitions, freak accidents, and mysterious murders in Atlanta’s cursed lake. Some places in this world seem mysterious…to the point where they almost seem to be beyond the comprehension of mankind. There are mysteries in these places that defy any attempts to explain them, and the very soil and water itself here seems to reverberate with some evil force that pervades its very being. These mysterious places seem to draw death, misfortune, and the bizarre to them like a magnet, and if there are indeed cursed places in this world then these are them. Lying in the northern part of the U.S. state of Georgia, sprawled out among the foothills of the North Georgia Mountains for 26 miles, 75 meters (258 feet) deep at its deepest point and with an area of 150 km2 (59 square miles) of water and 1,114 km (692 miles) of shoreline, is Lake Sidney Lanier, commonly referred to as simply Lake Lanier. Actually a manmade reservoir, Lake Lanier is the largest lake in Georgia and even sports a chain of islands that were originally large hills before the lake was formed. The origins of Lake Lanier can be traced back to 1948, when the U.S. government purchased a 100-acre farm from a river ferry operator by the name of Henry Shadburn in order to start a water project on the Chattahoochee River for the purpose of providing the city of Atlanta with hydroelectricity, flood control and water supply. In 1950, the U.S. Army Corps of Engineers began breaking ground and constructing the Buford Dam on the Chattahoochee River, which would be completed in 1956 and begin the process of flooding the foothills to create the lake. 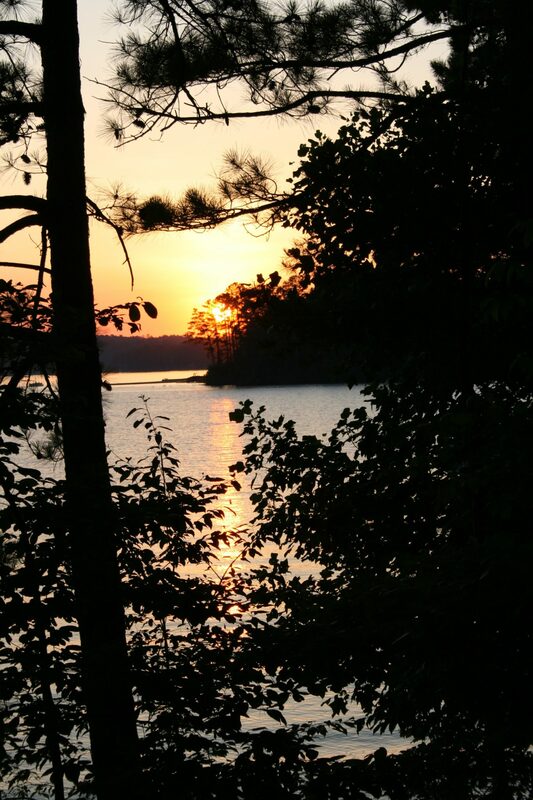 The creation of Lake Lanier was beset with problems from the beginning. Funding for the project faced numerous hurdles which stopped and started construction to the point where it is amazing it was actually finished on schedule. Additionally, the Corps of Engineers, as well as the states which use the Apalachicola-Chattahoochee-Flint River Basin and the Alabama-Coosa-Tallapoosa River Basin, comprised of Florida, Georgia, and Alabama, all squabbled over water flow requirements, consumption caps, how the water should be used, and whether to give it priority as a water supply, hydroelectricity source, or even recreation. All of this while juggling the federal laws that demanded water be set aside for threatened or endangered species that lived in or around Chattahoochee River. The states of Alabama and Florida were particularly unhappy about how the U.S. Army Corps of Engineers regulated the flow of water from Lake Lanier to their states. There was even debate over what the lake should be called, with the builders finally settling on the name of the poet Sidney Lanier. Then there was the rather destructive nature of the lake’s creation. The U.S. government began a mad dash to ravenously purchase land from private companies, farmers, and anyone else who lived in the area that would inevitably wind up underwater. During the 5 years it took for the lake to completely fill to its intended water level, the government would buy up over 50,000 acres of prime farmland and pristine wilderness, moving more than 250 families, 15 businesses, and even relocating 20 cemeteries along with their corpses in the process. As the nooks and crannies of the mountain foothills filled with surging water, the inexorable spread of the lake devoured entire towns along with their buildings and houses, farmland, fields, bridges, toll gates, historical landmarks, river ferry businesses, a racetrack called Looper Speedway, country roads, forests, and other lakes. Imagine you just saw your fiancé groping someone else. You tear off into the throes of a torrential storm, hydroplane and flip your car. 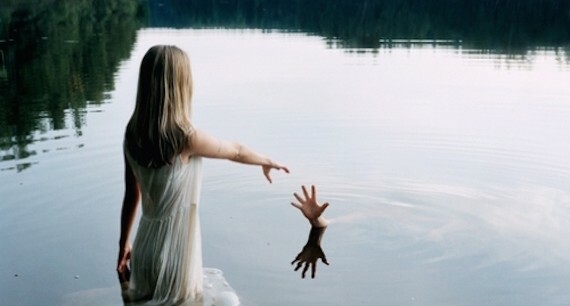 Thrown into the lake, you lose conciousness and awaken with no idea where you are. The scent of the hostile spring storm now gone, you breathe in the smell of a cool, crisp November settling into the North Georgia foothills. Feel the anxiety upon opening your eyes, realizing you’re in the arms of a complete stranger, then discovering you’re in a place you’ve never heard of––thirty four years before you were born. You’ve fallen through the time portal beneath the lake. 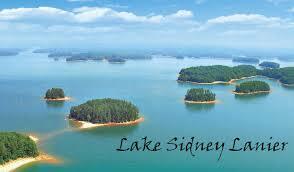 Lake Lanier, GA is the setting for my new time travel romance, Beneath The Lake. Linda Joyce tagged me to play The 7-7-7- Game. Please check out her blog and read her seven lines of Bayou Born, the first novel in her Fleur de Lis series which will make its appearance mid-April. • Go to page 77 of your own book or manuscript. • Count down seven lines. • Copy and paste the seven lines that follow. Then, Tag seven authors to do the same. My 7-7-7 offering is from my new manuscript, Beneath The Lake, a time travel romance, with strong historical elements; think Back To The future meets Time Traveler’s Wife. Lacey Montgomery’s life is riddled with rejection and abandonment. When she walks in on her boyfriend’s affair, she drives off in the throes of a torrential storm, hydroplanes and is hurled into the depths of an icy black lake. She awakens in the arms of a strange man, in a town she’s never heard of––34 years before she is born. The desperation to find her way home shifts as Lacey falls in love with a town destined to be erased from the face of the earth, and Bobby Reynolds, the man who vows to protect it. The struggle to save them both heals her internal conflict, while restoring Bobby’s belief in true love, spinning a star-crossed love story that defies time, as Lacey tries to prevent her new life from slipping beneath the lake. 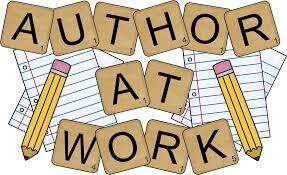 I finally completed my new manuscript, Beneath The Lake, and had a fabulous time writing the story. Even the research was fascinating, learning the eerie lake lore surrounding Georgia’s Lake Lanier. Kristen Stewart was so fabulous in the Twilight Series. If my new book, Beneath The Lake, were to ever become a movie, she would be the perfect actor to play the part of the heroine, Lacey Madison Montgomery. Beneath The Lake is a time travel romance with strong historical elements; think Back To The Future meets Time Traveler’s Wife. Lacey Montgomery’s life is riddled with rejection and abandonment. (sound familiar?) When she walks in on her boyfriend’s affair, she drives off in the throes of a torrential storm, hydroplanes and is hurled into the depths of an icy, black lake. She awakens in the arms of a strange man, in a town she’s never heard of––thirty-four years before she was born. The desperation to find her way home shifts as Lacey falls in love with a town destined to be erased from the face of the earth, and Bobby Reynolds, the man who vows to protect it. The struggle to save them both heals her internal conflict, while restoring Bobby’s belief in true love, spinning a star-crossed love story that defies time as Lacey tries to prevent her new life from slipping beneath the lake. Of course, once a story is written the real work begins. Editing, agents and the publishing process will take time, but your encouragement will keep me motivated. In the mean time, I’m officially rejoining the real world again and hope to spend more time with my friends through this blog, Facebook, Pinterest, Twitter and actually in person. 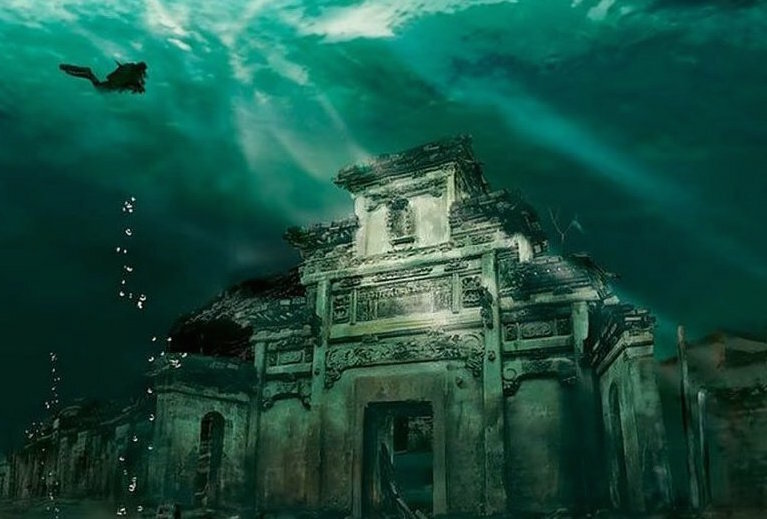 Be sure to check out my Pinterest Books & Writing board to get some insight on Beneath The Lake. Thanks for all of your support through my hibernation. I’m back!